Salt Lake City's Trusted Audi Dealership Alternative Since 1996. 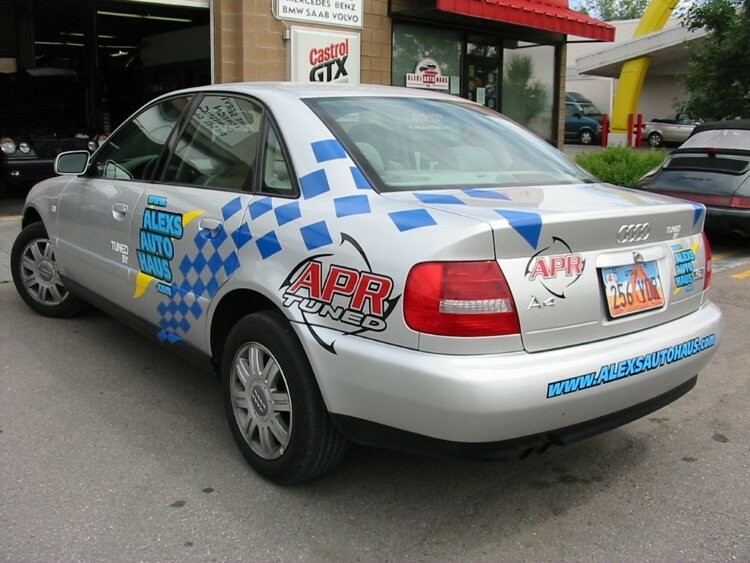 Our goal at Alex's Autohaus is to satisfy the customer with the repairs and services performed on their Audi. We will make every customer happy so that they enjoy bringing their Audi to Alex's Autohaus, Inc. and to refer us to friends and relatives. We will give the best performance to our customer while we grow and expand. Did you ever think about how much experience and knowledge the technician has who is working on your car? No business like the Automotive repair business is based on experience and continuous education. I have been in the Automotive repair business for over 30 years now and I feel like a car myself sometimes. I see young people come into this profession who do not know carburetors and ignition points anymore and rather forget the basics to hunt down computer problems that are not there. Let's face it: a car still has a combustion engine that works the same way it did when it was invented by Gottfried Daimler. Yes, the materials and designs improved and of course everything is computer controlled. That is why experience is a very important factor in repairing and servicing cars. There is plenty of people out there who open a business with little or no experience and think they are experts. I earned my experience and pass it on every day to my technicians who will one day have the same experience I do, but by then I will be not around anymore. Click Here to read client reviews. Alex was born in Munich, Germany the home of BMW and Bavarians. After completing public education, he trained as an apprentice in auto repair, and was able to complete the three year apprenticeship in two years because of high scholastic marks. Following his apprenticeship, he served a tour of duty in the German Army, working as a truck and tank mechanic. Once his military service was completed, he returned to school, obtaining his Meister Degree in auto mechanics, with a total of eight years of education in automotive repair. Alex has been factory-trained in most European makes, including BMW, Mercedes-Benz, Saab, Volvo, Porsche, Volkswagen, and Audi. He immigrated to the United States in April of 1990, and was the shop manager for the previous owner of this business from 1992 to 1996. 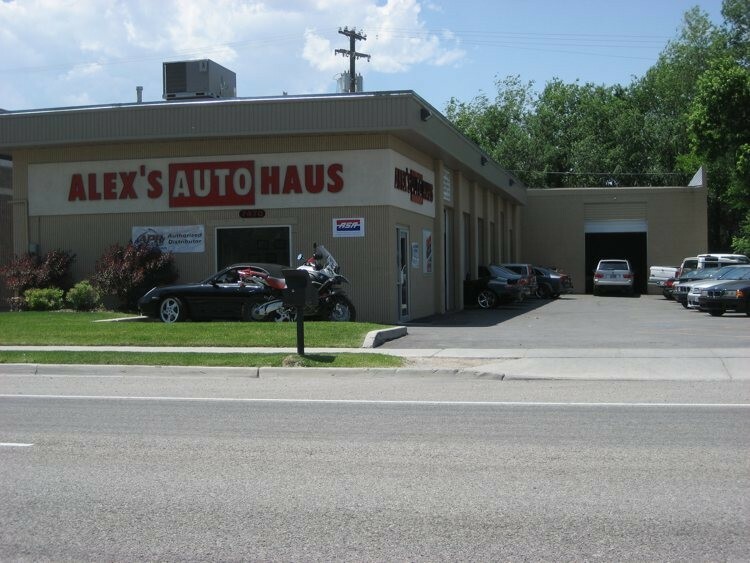 In 1996, he became the owner/operator at the original location in Midvale, Utah and changed the name to Alex's Autohaus. In July of 2000, with the business growing rapidly, and with a larger staff, he moved the business to its Second location in Murray. After that We moved back to Midvale into an even better location. The new location is larger and more accessible, to better serve his customers. As always, you guys took care of my problem in a professional and efficient manner! I have always worked with Willie at Alex's and he has always been fantastic to work with. They always explain things in plain English and are fair in their pricing. I will be a customer as long as I have a car. The service was great, got my car in and out in good time. The service was excellent and the price was a great deal. I enjoy the improvement of how my car performs. A burned out headlamp can generate a ticket and so I had to get it changed quickly. As usual Alex's did the job quickly and efficiently. I just purchased my first Porsche 911 and Alex's was referred to me. I was very happy with Willy's help and answers to my many questions. The service was performed in a timely manner and done with pride and care by Max. He wiped up all the drips from my car (NO others do this...you just think your car is dripping, but it is coming from overfills or spills) and it was clean and like new. This is one of the only shops that has not overfilled my oil. That MAX fill line is there for a reason and many just overfill as it is too hard to check the level, top off more and re check. These are the kind of people I want working on by car! Kudos for doing an excellent job and taking pride in your work. I'll be back and have already referred all of my friends with 911's. My latest experience at Alex's Autohaus was very good. I had been plagued by a CEL. Diagnosis was performed and I was promptly notified of fault codes displayed. The service manager, Willy, took the time to thoroughly explain the readout so I could understand the malfunctions. He advised a repair and gave me estimated cost. The shop was able to make the repair during this same visit saving me a return trip. My Audi has never run this good. Thank you all for the wonderful support. Alex and his team at Autohaus were great. I brought my Audi TT in to get APR tuning. I had an 11:00 appointment which I was told initially that it would take about two hours. I was out of there thirty minutes early which allowed me to get back to the office sooner than expected. Willy and Celesta (sp?) in the front office are very knowledgeable and were quick to answer any questions I had. Alex tuned my TT quickly and was very pleasant. Ultimately, if you aren't taking your car to Alex's Autohaus, you're taking it to the wrong place! Thanks guys for a great experience! Our BMW X5 was making a grinding noise when we we turned to the right. Alex's Autohaus was able to get us in quickly. They diagnosed the problem and made me aware of some other potential issues. After a detailed explanation, I chose to have them fix all of the problems. Their service was efficient and the price was fair. I highly recommend them.